South Orange, New Jersey: A new business has opened its doors in the South Orange Village Center. 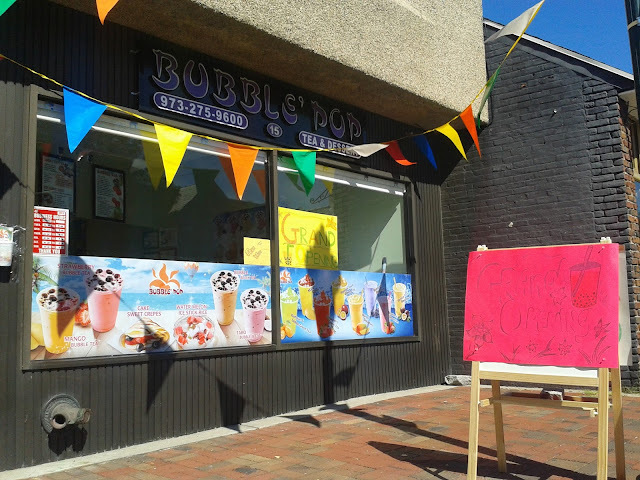 Bubble' Pop opened for business last week near Spiotta Park at 15 Village Plaza, between South Orange Avenue and Valley Street. Menu items include crepes, ice stick rice (which contains peanuts, white fungus, cranberries, raisins, and other fruits), juices, bubble teas, green teas, and smoothies. This is the first location of Bubble' Pop, according to an employee. Speech & Hearing Associates previously operated a location in the space before closing and relocating clients to other offices.